Courtesy of the Nantucket Historical Association #GPN12. 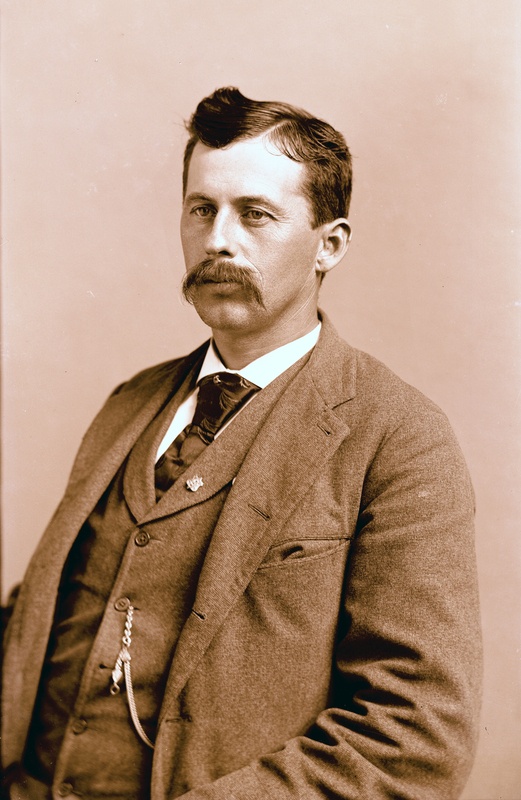 Frederick S. Chadwick was born in 1857 on Nantucket to Reuben Chadwick and Elizabeth Randall. He would live most of his life in the house on 4 Pine Street that he and his two sisters purchased in 1874 when they were just teenagers. Chadwick married Mary Louisa Folger in May of 1882. The various jobs that Chadwick held all seem to have one thing in common—the improvement and preservation of Nantucket Island. Chadwick served as the First Assistant Chief of the Nantucket Fire Department, working alongside Maurice W. Boyer, father of noted basket maker Sherwin Boyer. Chadwick was interested in the development of Nantucket’s fire department. Prior to his work at the fire department, Chadwick was custodian of the Old Mill “and in that capacity made the acquaintance of many summer visitors, who found in him a real Nantucketer possessing a fund of knowledge about the island and its people.” It seems Chadwick passed this love of Nantucket history onto his nephew, George William Jones, who at one time served as the President of the Nantucket Historical Association. Chadwick also worked at the New York Yacht Club Station Nantucket as an attendant, beginning in 1905, welcoming visitors at the Steamboat Wharf. Frederick S. Chadwick basket with label. A carpenter by trade, Chadwick began weaving baskets in the later years of his life. 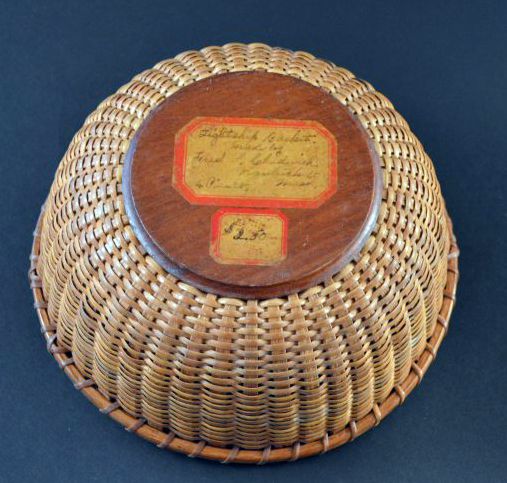 Chadwick learned basket making from renowned island weaver Clinton Mitchell “Mitchy” Ray. Many of Mitchy’s students were from a younger generation, but Chadwick was 20 years older than Mitchy. In 1933, Chadwick’s works were chosen, along with Ferdinand Sylvaro, to represent lightship baskets in an exhibition of Nantucket handicrafts shown in Washington, DC at the Candle-house Studio. First Lady Eleanor Roosevelt (who was sent a lightship basket made by Mitchy Ray that same year) attended the exhibit.